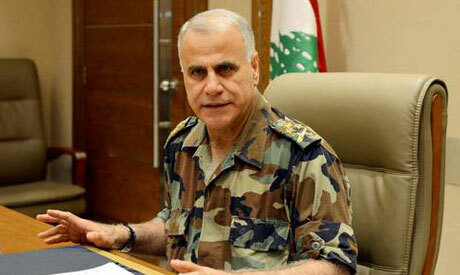 Lebanon's army chief General Jean Kahwaji urged France on Tuesday to speed up the delivery of weapons under a Saudi-financed deal, as his troops battle jihadists on the Syrian border. "This battle requires equipment, materiel and technology that the army doesn't have," Kahwaji told AFP. "That's why we need to speed up the delivery of the necessary military aid by finalising the list of weapons requested from France under a Saudi-financed deal backed by the Rome conference to support the army," he said. Last December, Saudi Arabia agreed to finance a $3 billion deal to purchase military equipment and weapons from France for Lebanon's army, which has long complained of being sorely under-equipped. And in mid-June, at an international conference in Rome, the international community pledged its backing for the Lebanese military. But talks on the list of material to be furnished to the army under the Saudi-French deal have yet to be finalised. Kahwaji's request came as the Lebanese army battles jihadists in the Arsal region of eastern Lebanon on the border with Syria. He warned that "the situation in Arsal is dangerous." "The battle that the army is undertaking in the mountains of Arsal is just one in a series of confrontations against terrorism in all its forms and wherever it is," he added. At least 16 soldiers have been killed in the Arsal fighting, including two officers, according to security sources, and the army said 22 troops are missing, possibly taken hostage. Another 20 policemen are also missing, security sources say, and 86 soldiers have been wounded. "The army's fight against the takfiris (extremists) is continuing and the army is determined to recover the missing soldiers," Kahwaji said. The fighting in Arsal erupted on Saturday after soldiers arrested a man accused of belonging to Al-Qaeda's Syrian affiliate, Al-Nusra Front.